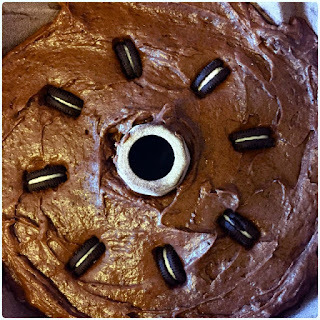 Any regular reader will know I love a cake challenge. This week, my pals at Statuo moved into their new office, which seemed the perfect opportunity for an office warming bundt! 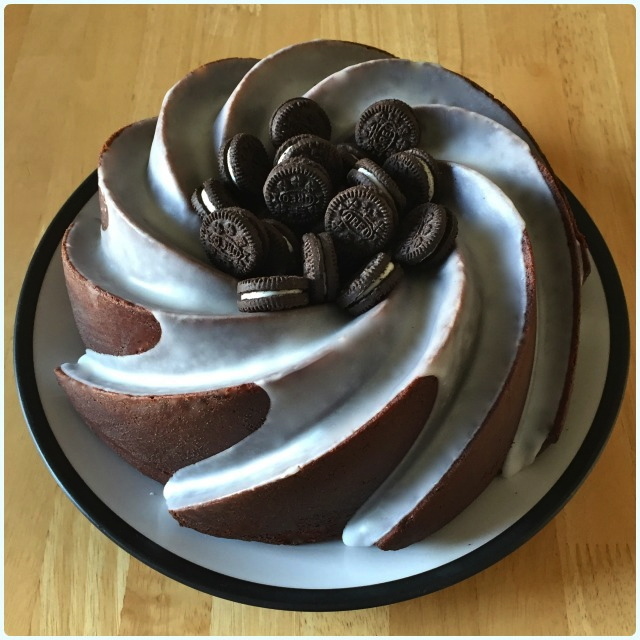 Now I know what I like, but I wanted something that his team would absolutely love, so I set down the challenge... You give me a theme, and I'll whip it into a cake. Turns out Oreos are their favourite biscuits, so off I trot. Prepare a regular sized bundt tin - 2.4l, 10 cup, 10 inch with Cake Release spray and dust with flour mixed with a little cocoa. Pour the yoghurt and chocolate milk into a jug and stir in the chocolate spread. Poke in the mini Oreos, ensuring they are well covered. When the cake is fully cool, mix the icing sugar with enough water to make a runny icing. Tip over the cake and decorate with more Oreos! When I was a little girl, I used to bake with my grandma. 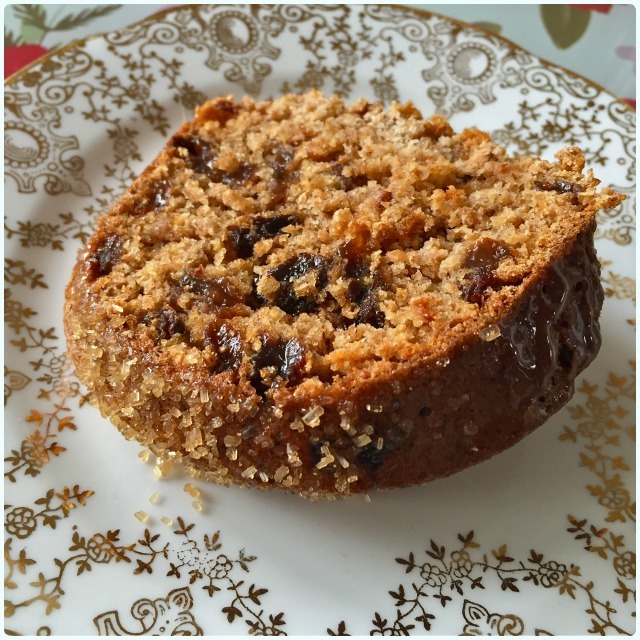 We were generally tasked with buns of some sort, Chorley cakes, or bran loaf, all of which were family favourites. Sadly, this seems to have died out, so (cue Justin) I'm bringing bran loaf back. My cakey heritage is an odd one. All the men in my family adore cake. The only exception is my brother, whom I cannot explain. Perhaps I had already stolen all the cake loving genes? Perhaps he was swapped at birth? Maybe his taste buds are defunct? The dude doesn't even like Haribo - I know. My grandma has always been a fantastic baker, but I can't recall her doing it since I was a child. Then there's my mum. I'm fairly confident that our Kaz has never baked a cake in her life, but enjoys eating mine. There's hope. 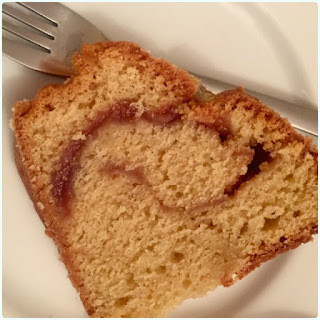 I remember finding out the hard way, that unlike butterfly cakes, the batter for this cake is rank, and should not be consumed raw from a wooden spoon; it's a bad scene. Luckily, once baked, it's a thing of beauty. There's no butter in this cake, and it feels as heavy as a rock, but for those who know what lies beneath that firm exterior, it'll always be a fave. If you can leave it a couple of days, the crust goes slightly softer, and the centre even more moist. I can't actually confirm this, as mine never gets past day one. Rumour has it though. So last night I set about my soaking, and early doors this morning, I had my bundt merrily baking. It's so easy to make, it's quite mad. Also when I talk about cups, it doesn't have to be an American style baking cup. My grandma literally used a mug. It doesn't rise a massive amount, so if it fits in your tin, you're good. The only thing you'll have to monitor is baking time. My dad and grandad were thrilled with their cakey deliveries today! Mix the bran, sugar, sultanas, milk and spices in a big bowl. Cover and leave over night. Stir the flour into your overnight mix. Tip the whole thing into your tin and give it a wiggle. Bake in the centre of the oven for 1 hour and test whether a skewer comes out clean. If it doesn't give it another 10 mins. Baking time will depend on the size of the cups you used. When the cake is fully cool, warm the honey in the microwave until it's runny, and brush over the cake. 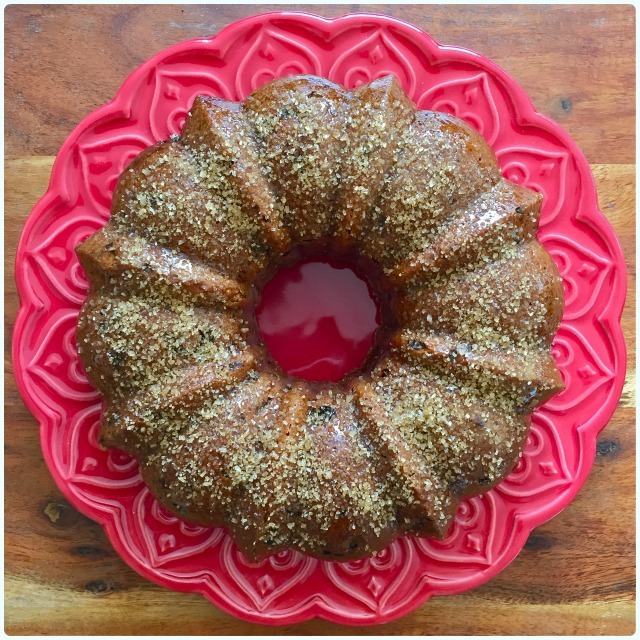 Sprinkle the whole thing with demerara sugar; it'll stick like a dream. Congratulate yourself on how easy the whole thing was! 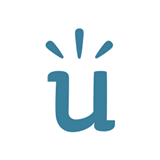 This week I was approached by Uncommon Goods, who asked for my thoughts on their website. Uncommon Goods pride themselves on being environmentally friendly, socially responsible and a rewarding place to work. They offer a wide range of handmade, recycled and organic products, and vow to sell no product that harms humans or animals. They build optional charity donations into the checkout, and are generally good eggs when it comes to the products they sell and the way they sell them. 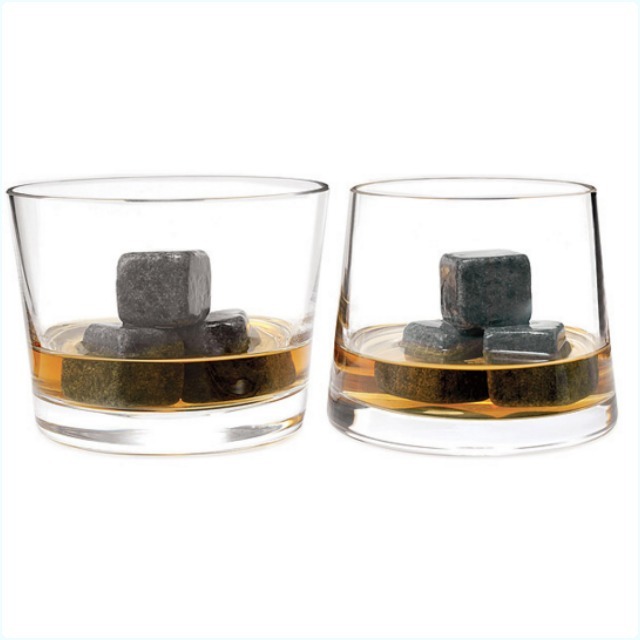 Whiskey stones: Quite a few people I know bought these as Christmas gifts. You just freeze them and pop them in your whiskey (or indeed any drink). They're better than standard ice as they don't melt and dilute your drink! Find them here. 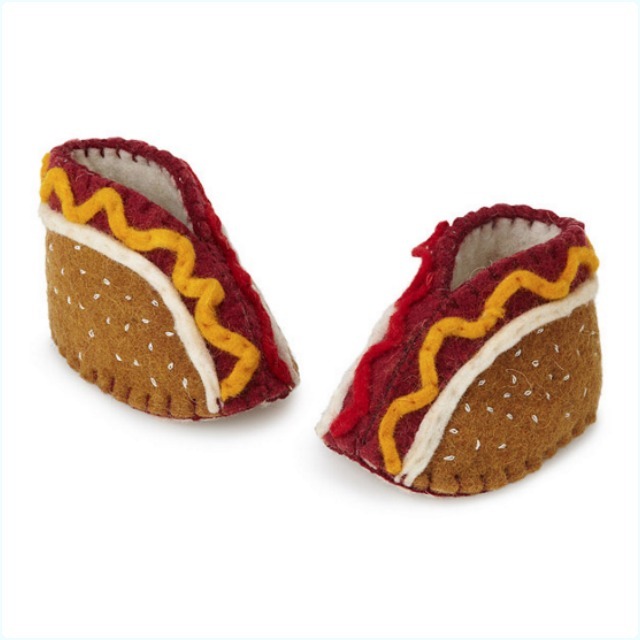 Hotdog booties: How amazing are these? I adore them. They're made from natural wool and are all hand-stitched. You even get to see a picture of the lady who makes them. Very cute. Find them here. Personalised mini rolling pin: Okay, so it isn't really a foodie item (the pink 'dough' gave the game away), but I liked it! I made many a pretend pie out of Playdough when I was a nipper. Find it here. Go and have a look for yourselves, there are some lovely things on there. Disclaimer: This blog post was written in partnership with Uncommon Goods, but are my own opinions. We thought it was a weird concept; cafe by day, Thai restaurant by night. It was hard to fathom how that might work. 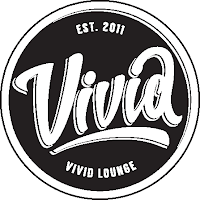 It's a bit out of the way too, yet still I found myself drawn to Vivid Lounge. The name doesn't give much away, so it had to be investigated further. So it had tipped it down, but we arrived in sunny Ancoats to the perfect parking space, and a gaggle of geese having a little rest by the canal lock. It's a beautiful little spot which made us feel like we were a million miles from the city. We were welcomed like old friends, and seated near a huge window. It looks like a cafe, but feels like you've been here a thousand times before; it just throws you when you don't know where the loo is. First of all the lovely Martha sorted us some drinks, and then a bubbly chap called Sam came over and explained how the menu works. It's very simple in the evening. You decide which size bowl you want, and then pick something the list under each section. 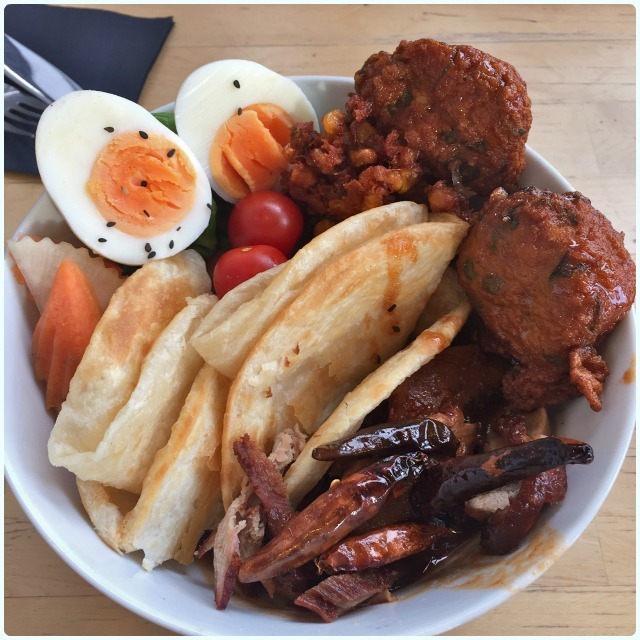 The bowls are split into the base, curry, bites, salad and extras. The tough bit is picking what you want to try. There is also a starter board where you pick two bites and a salad, which means you get to try even more! 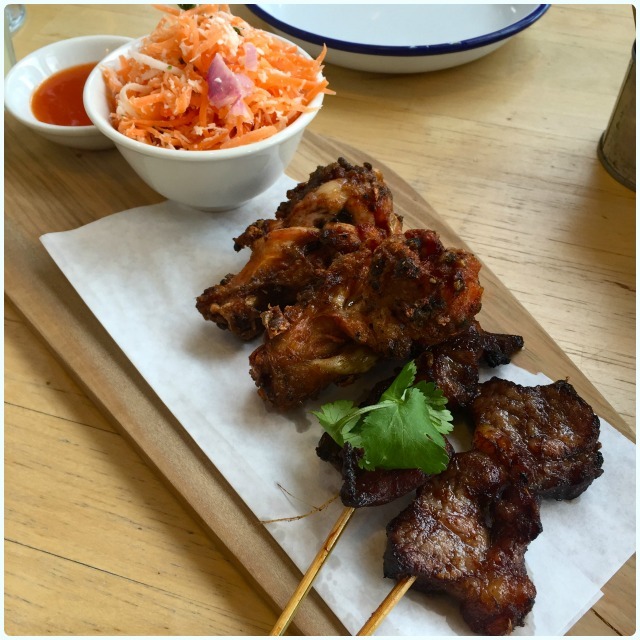 Bites - Southern chicken wings and pork skewers: Little crispy bits that blow your mind... It's a good job these were limited, as I think I would be 47 stones by now. 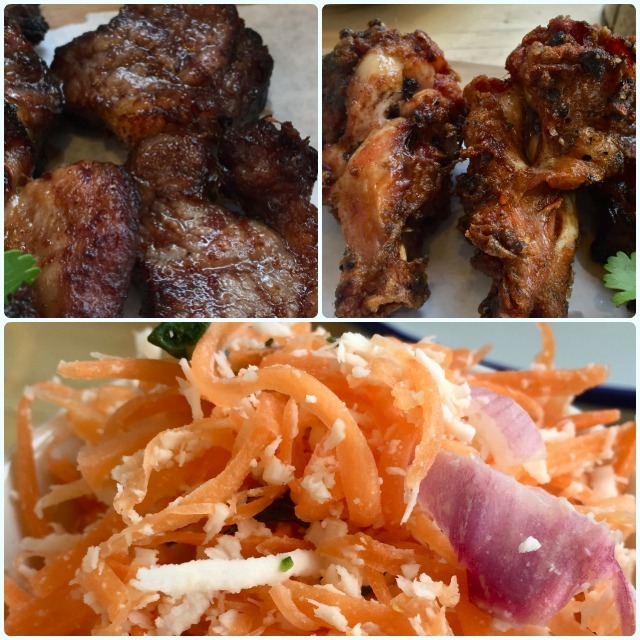 Salad - Carrot and coconut: How can something so simple be so full of flavour? This was one of my favourite things from Vivid Lounge. When Martha noticed us both fawning over its brilliance, she brought more without hesitation. We didn't feel bad, it's salad. It's good for you. Five a day, for your health. The mains come in bowls ranging from large to small. I have a confession. I may have showed myself up when asked if I wanted the large one, I may have said 'that's what she said' to someone I'd never met. Luckily, it was Martha, who laughed. I knew we were going to get on... Anyway, who wouldn't want the large one? (that's what she said). Base - Roti: So soft and fluffy, the perfect base for that lovely tamarind sauce. Curry - Duck and tamarind sauce: Beautifully cooked duck in a sweet and sticky sauce. Bite - Thai corn fritters: One of the best things on Earth, I'm quite confident. You must have these. Salad - Poached pak choi: Simple, yet a great side for all that sweetness. Extras - Cherry tomatoes, Thai pickles, boiled egg and fried chillies: I adore the concept of the lovely little fresh things to accompany the bowl. 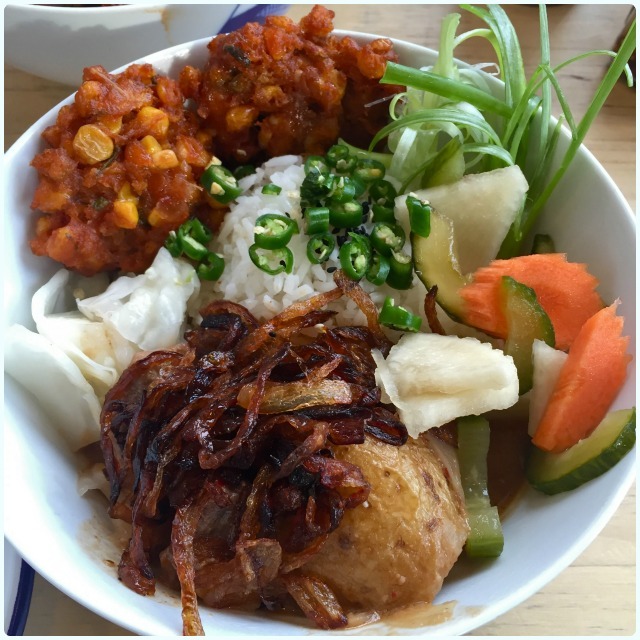 Base - Jasmine rice: I can't get enough of sticky jasmine rice. I have to have it if it's an option. This soaked with Massaman sauce rocked my socks. Curry - Beef Massaman: One of my favourite Thai curries. Slow cooked beef that falls apart, with the most delectable sauce. Bite - Thai corn fritters: As above, I'm still insisting that you try these, only a little more fervently now. Salad - Thai sauerkraut: Oh this. Crunchy and tangy and all kinds of aceness. Perfect with the sweet stuff. Extras - Fried onion, Thai pickles, spring onions and green chillies: I think I made great choices here. I'd happily sit and eat a full bowl of those pickles. I couldn't understand why I was so abhorrently full when I got home, but looking back at the pictures, it's suddenly becoming very clear. This is some of the most exciting food I've scoffed in a while. Just look at the colours in those bowls! It was all very exciting. The drinks were pretty good too. 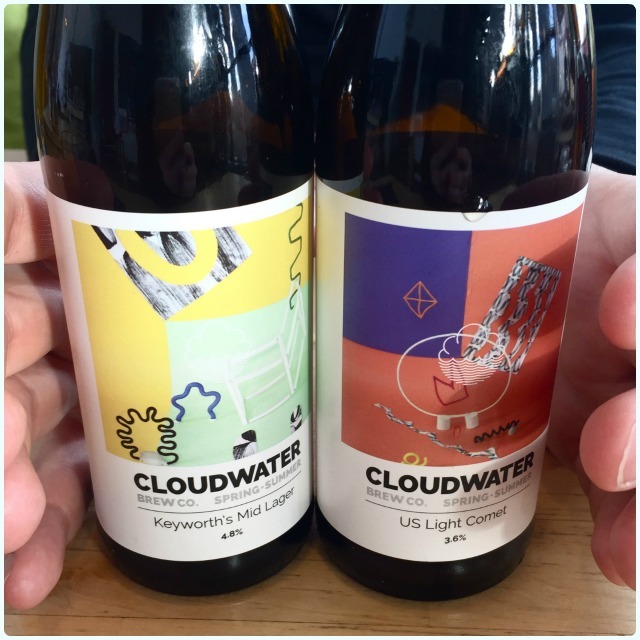 I was driving so stuck to San Pellegrino Limonata, but there's also a great selection of craft beers, including local brewers Marble and Cloudwater. 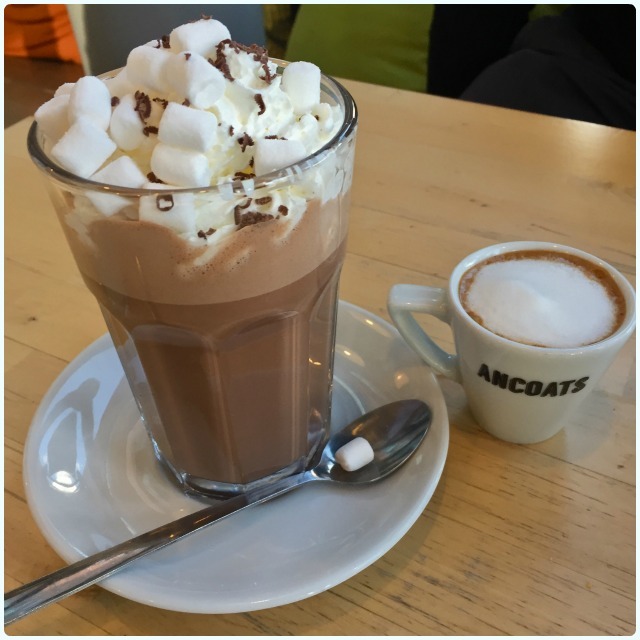 We decided that our food coma may possibly be rectified with a hot drink. We tried both the sugar and caffeine routes. As lovely as both were, it turns out we were done for. I know the food was something special as I'm sat here feeling aggrieved that it isn't here now. I'd much rather have bits of different things than one big bowl of something. I'm easily bored by the same thing; I have a very short attention span. Although we didn't stay late, for some reason I was knackered when I got home. I can only think that I was suffering from sensory overload after such a feast! 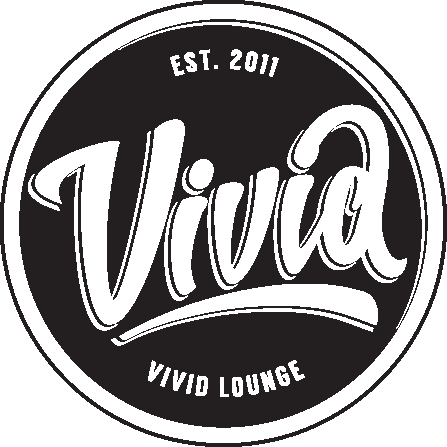 I've already recommended Vivid Lounge to pretty much everyone I have come into contact with since. Go here if you like to try lots of little things, but still leave feeling very full indeed. They also have a pretty selection of home made cakes, but I'm sorry to say my powers had left me by this point. Just go. I have a lot of love for these folks. So this week a little brown package dropped through my letterbox. It was very slim, but quite heavy. Inside were the goodies needed to make coconut and white chocolate cookies! I like this very much. 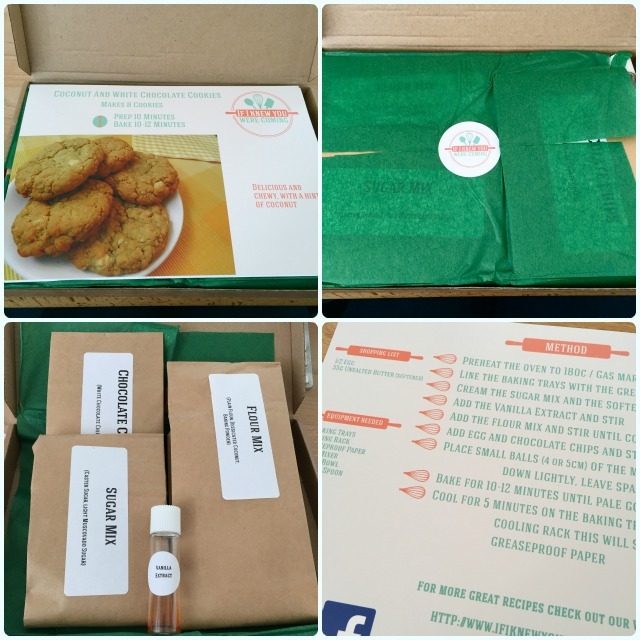 I wrote recently about my love for little boxes of foodie related goodies that are delivered straight to my house. I've always been a fan of Able and Cole, but this is all about the sweet stuff. 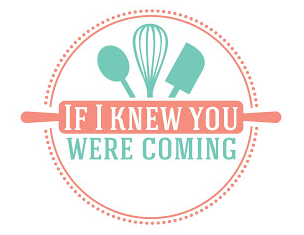 This kit is from If I knew You Were Coming and is basically all the ingredients (bar the fresh stuff), pre-weighed, put in cute little packets and ready to go. You can either buy to a three month subscription, or purchase a one off box whenever the devil you feel like it. You can choose between Marvellous Muffins, Champion Cookies, Summer Selection or Brownies. In each section there are then different flavours. I'll be putting the coconut and white chocolate cookies through their paces. All I had to add to my box of tricks was half an egg and 55g of unsalted butter, both of which I had knocking around anyway. 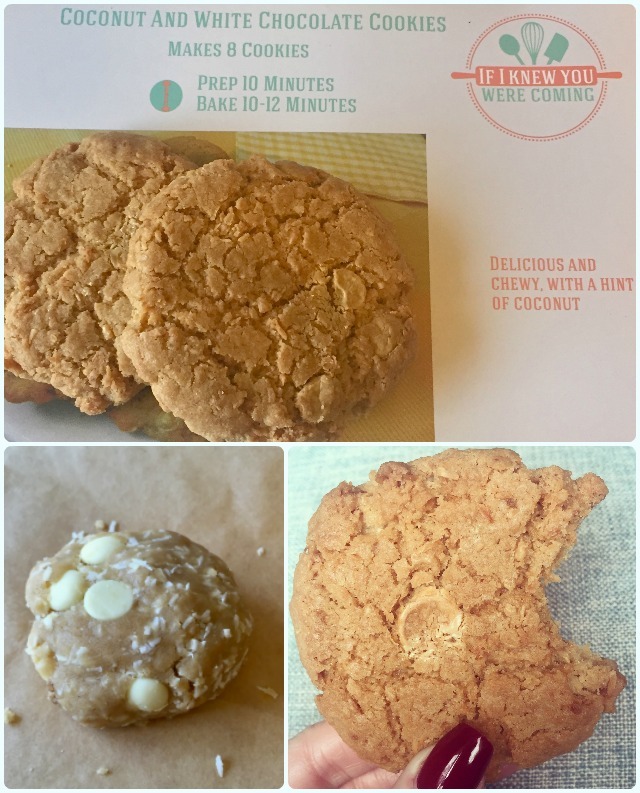 The recipe card suggests that these cookies should take 10 minutes to make and another 10-12 minutes to bake. I found this pretty accurate, although mine needed a little longer in the oven. I think the trick is to flatten them more than I did initially. Anyway, the important bit; they were bloody amazing! I ate one as soon as it was cool enough to scoff. This was in the interest of quality control, of course. I adore this concept. 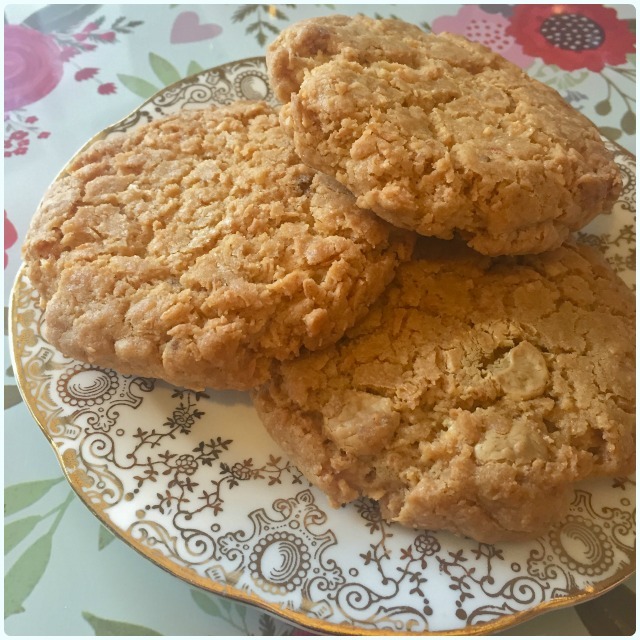 I was able to whip these cookies up whilst our dinner was in the oven, and they were ready in time for dessert. I'll definitely be using these boxes as gifts in the future. They are ideal for beginners as they are so darn easy, but they are still perfect for even the most experienced baker, as they save so much time. Now then... when are we doing a bundt kit...? Disclaimer: I was sent this little box of joy and asked for my honest opinion. I was under no obligation to be nice/so greedy. Two snaffled in ten minutes. That settles that then. 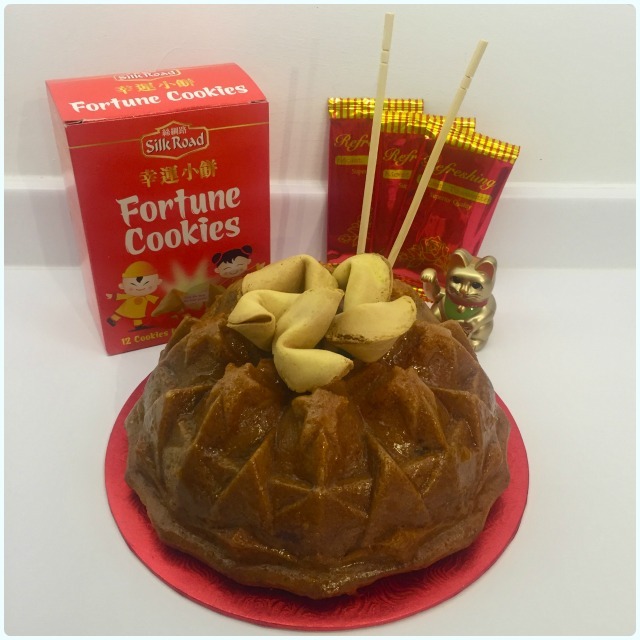 So my friends were hosting a Chinese night, and as is now customary, I was tasked with baking a themed bundt. After several horrific suggestions from the group (including sweet and sour and prawn cracker flavours), I decided on plum and ginger. It's still Chinese inspired, but not rank! Fish flavoured cakes are out. In a separate bowl, measure out the flour, bicarbonate of soda, salt and ginger. Sift in a third of the flour mix followed by half the yoghurt. Repeat this until everything is combined. Remove a heaped teaspoon of the batter and mix with the plum jam. Note: this jam is quite loose therefore needs a little help with texture. The batter will stop it sinking. Pour half the mix into your prepared tin. Smear over the jam mix- you want a thin, even layer. When fully cool, decorate to your heart's content. 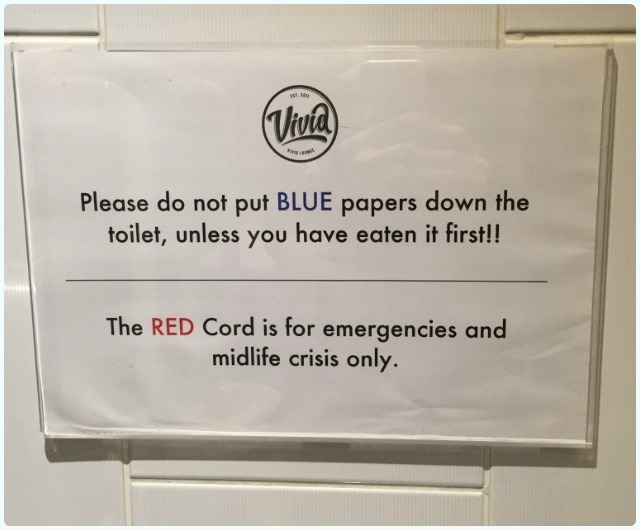 Mine just so happens to be Chinese themed, but this is obviously not essential! 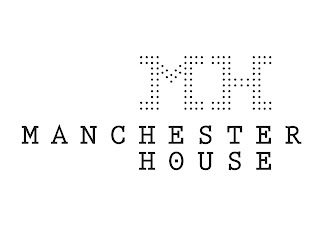 Manchester House is a legendary place amongst my group of friends, fabled for its outstanding cocktails and one particularly wonderful afternoon in the sun. 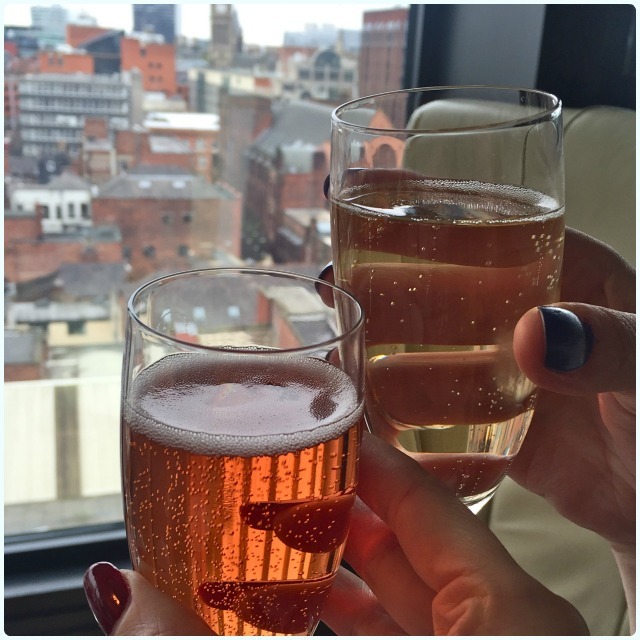 It's hidden in a pretty standard looking tower block in Spinningfields, but really does boast some of the best panoramic views of the city. 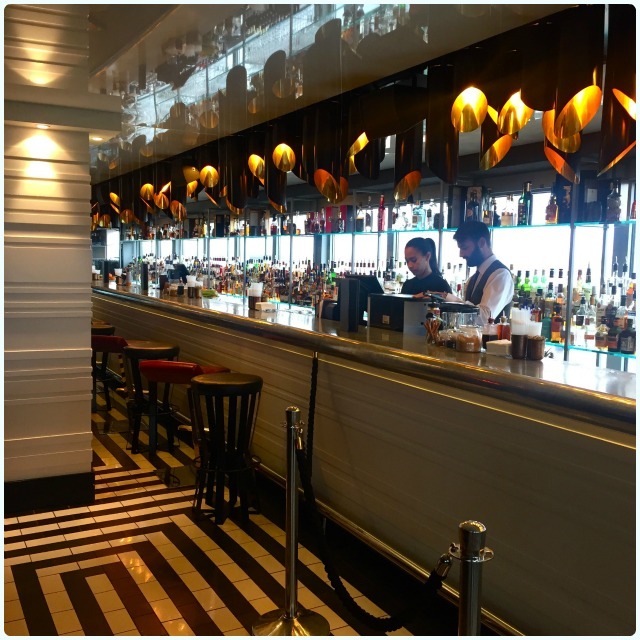 Situated on the twelfth floor, The Lounge at Manchester House has a sun terrace with retractable roofs on each corner of the building too, so you can enjoy the sunshine (if it ever happens again). 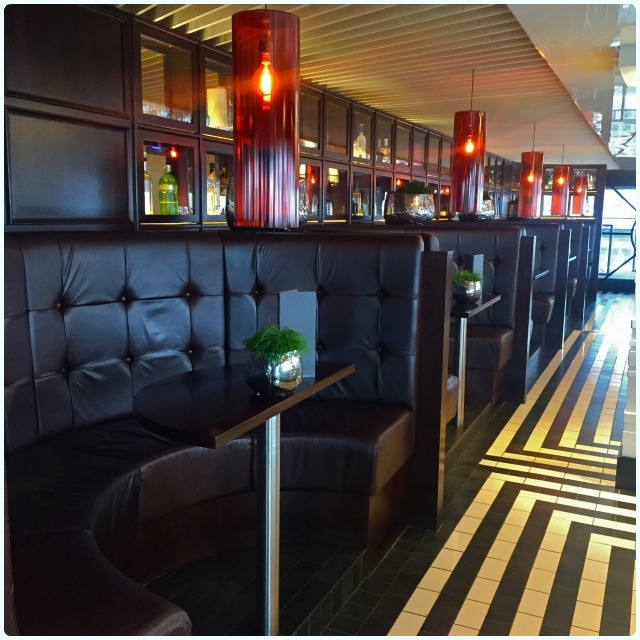 All the dining tables are situated near large windows, which gives the diner a wonderful view of Manchester. 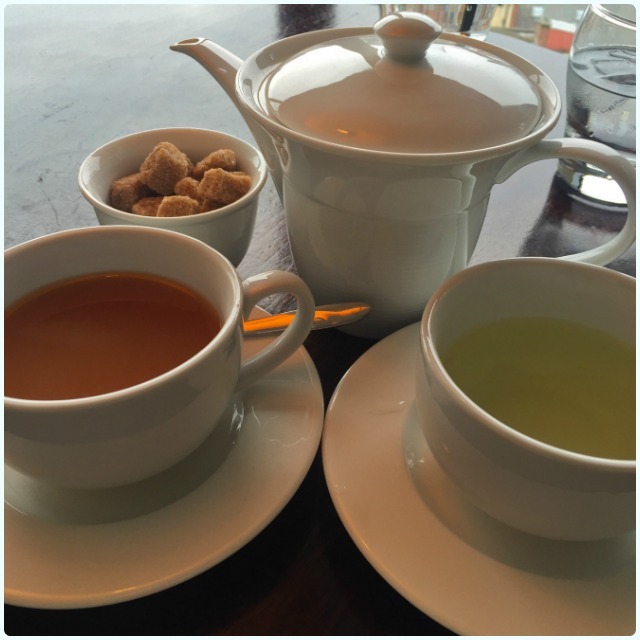 We went for afternoon tea on a day that could not have been more different to our first trip. It was dull and drizzly, our fingers were cold and our hair was windswept. We took the lift to the twelfth floor, and looked in horror at our reflections in the lift mirror, but when those doors opened, everything was ok again. It really is a beautiful place. After speaking to other people, I think there's a popular misconception that it's just a fine dining restaurant. No my friends, it is so much more than that. Granted, Aiden Byrne and his team are undoubtedly creating some wonderful (possibly Michelin star worthy?) 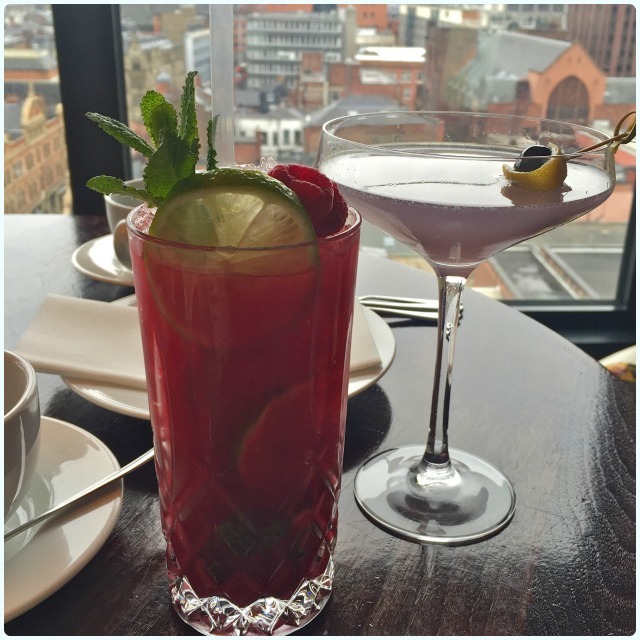 food, but I'd equally consider Manchester House the perfect place for afternoon drinks and snacks, or indeed for afternoon tea. It was delightfully quiet when we arrived about 1pm. I love a city hideaway where you can escape the carnage of the streets below, and feel like you have a special little spot all of your very own. We were quickly offered drinks, and before we knew it we were the proud guardians of an Aviation and a Raspberry Mojito. Raspberry Mojito - Bacardi Gold, raspberry liqueur, lime juice, sugar and raspberry purée topped with cloudy apple juice (L): Absolutely delicious. I'm a lover of fruity cocktails, so this had my name all over it. I did have to have a word with myself not just to tank it in two minutes though. They go down very easily. Aviation - Bombay Dry, Violette liqueur, Maraschino and lemon juice (R): My pal Lee loves a strong cocktail, and the classic Aviation is her all time favourite. Fragranced like parma violets, but with a big old kick from that gin. 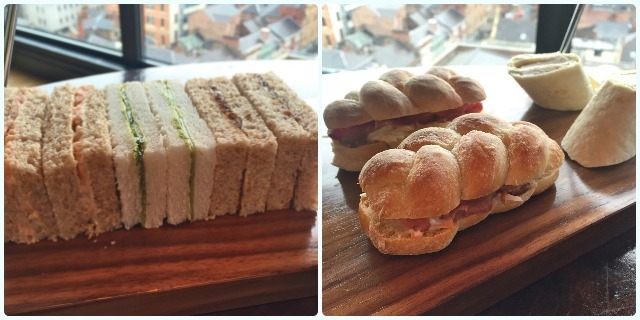 The afternoon tea itself is a thing of beauty. 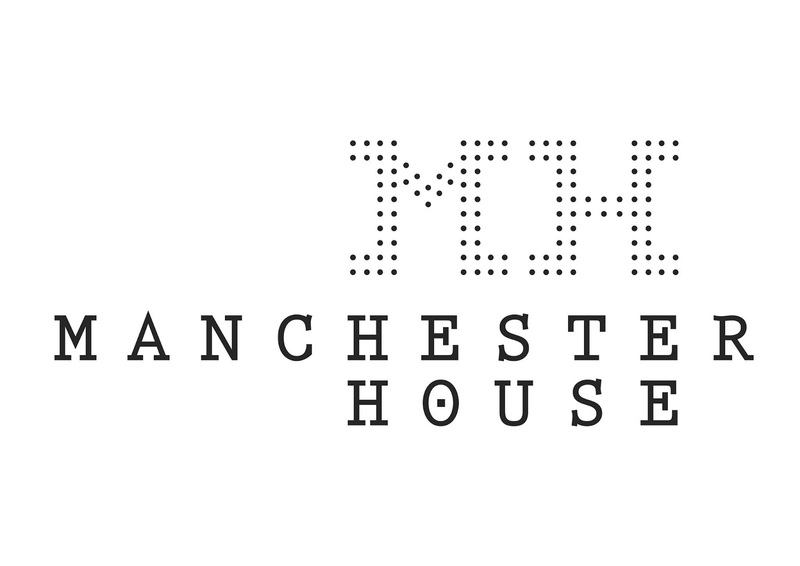 No gimmicks, just pure class, and everything at Manchester House is home made. Sandwiches (L-R) - salmon, cucumber with dill paste, cheese and pickle, beef and coleslaw on a mini platted loaf, chicken Caesar wraps: A good ratio of sweet to savoury, although we cleared these in record time. My favourite was the beef, mainly owing to that beautiful mini loaf it was served on. Cakes (L-R) - rose apple macarons, redbush mousse, Lamington cake, chocolate ganache: Oh those macarons! I often find them a bit 'all fur coat and no knickers', but we both agreed these were an utter delight. A crisp shell with a beautifully chewy interior. That Lamington cake was pretty special too. 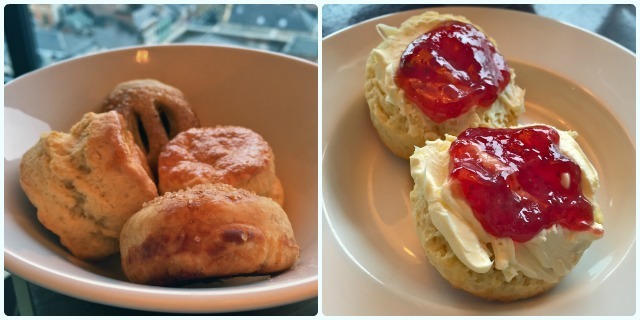 Scones and Eccles cakes: I'd been thinking about these all morning whilst battling with some work based cack. That home made jam with clotted cream was a dream. Laurent-Perrier Cuvée Brut Rosé Champagne (L) and Veuve Clicquot Yellow Label Brut Champagne (R): Hey it was Friday, so naturally we were on the fizz. Perfect with afternoon tea and an early dart from work. Teas - English Breakfast (L) and peppermint (R): Slowly brought us back to the land of the living after our sugar fuelled fun. What a spectacular afternoon in my favourite city. 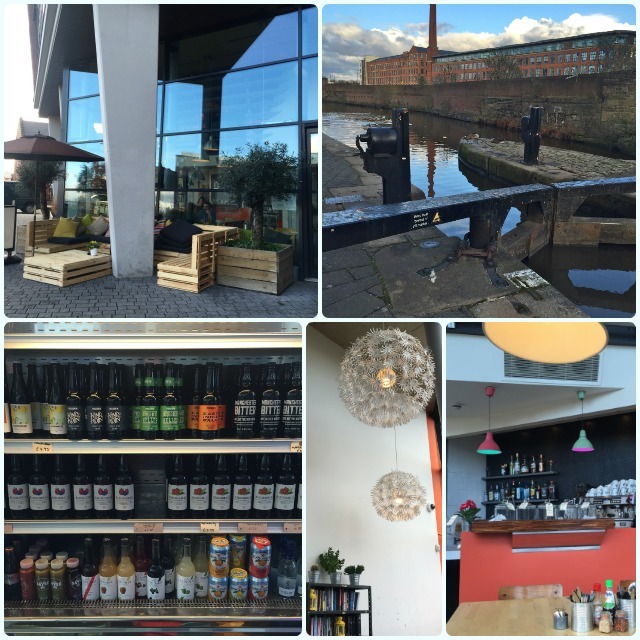 Not only was the food and drink just perfect, but the service was spot on too. I love this place. Go here for a mid-afternoon getaway where you'll be treated like royalty. 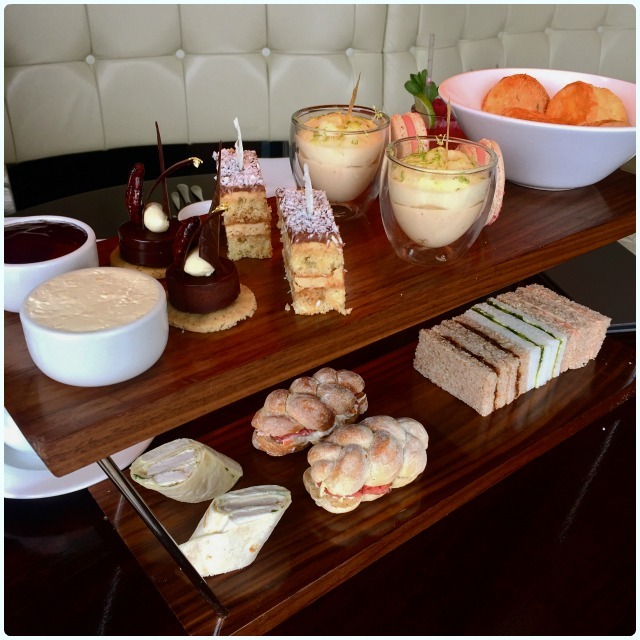 Champagne afternoon tea at The Lounge at Manchester House is £35. 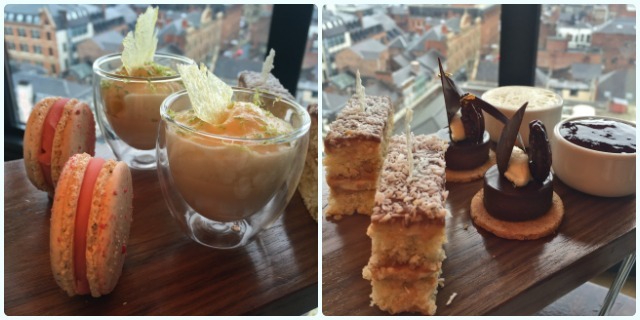 Disclaimer: Lee and I were invited to sample the new afternoon tea menu, however we were already massive fans of Manchester House following our previous visits. We'll be doing this again. I'm really liking the new breed of food related home delivery boxes. It started years ago with veg boxes, but now you can get all sorts through your letterbox, ranging from meat to make up. 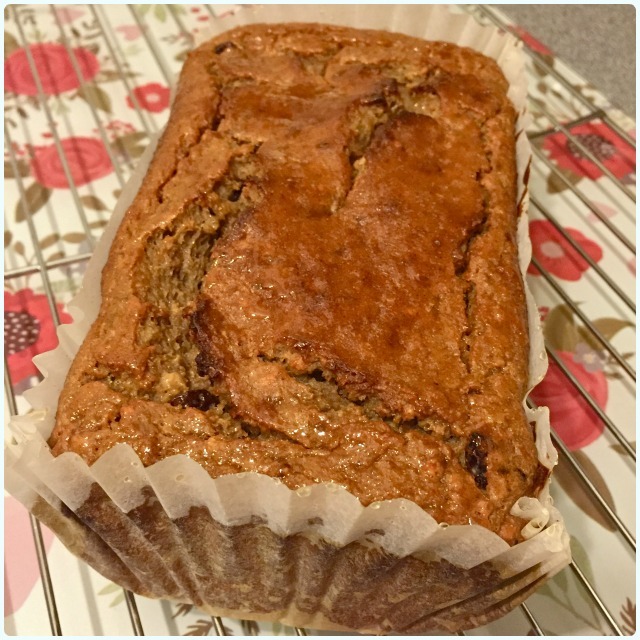 Some of the baking ones are particularly nice though, and encourage bakers to try something a bit new, but with added convenience. Looking at what's out there, there's something for everyone too. Some are like high end packet mixes, whereas others are more of an interactive magazine which urge you to learn new skills. 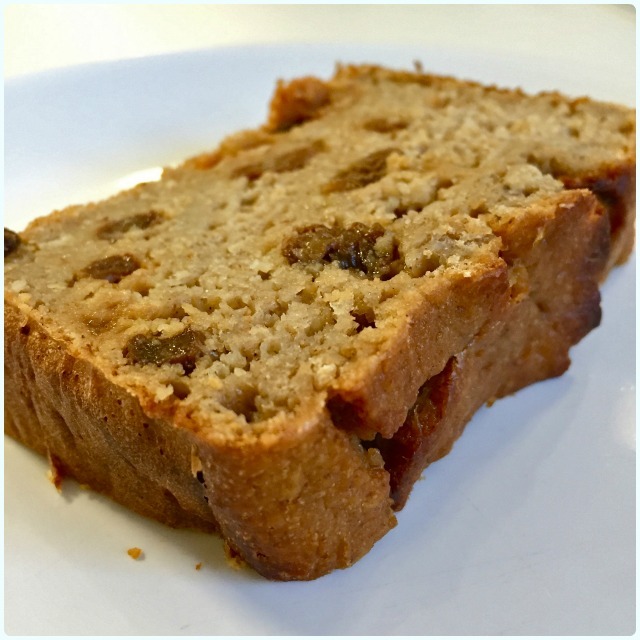 I was recently approached by Bake Box to ask what I thought of their new product. I really liked the fact this comes with the equipment needed to add those new tricks to your culinary repertoire. We decided to team up to do a giveaway for one lucky blog reader. Just use the entry machine below, and you could win a year's subscription! Bake Box is the brand new subscription box designed for blossoming bakers to build up a brilliant repertoire of new skills as well as a collection of great baking equipment. Bake Box will be the first of its kind available in the UK and includes recipe cards for 6 stunning bakes and the tools needed to transform any cake into a showstopper. Each box contains everything you need to create 6 amazing new recipes all around a specific theme. Two of the pieces will be innovative bakeware pieces that are not available on the high street. Each box contains 6 fully illustrated recipe cards. The cards feature a step-by-step guide to baking the perfect cakes and desserts and decorating them in a truly unique way. Recipes to include two hero recipes, one show-stopping cake recipe, one dessert recipe and two simpler recipes that are great to make with children. 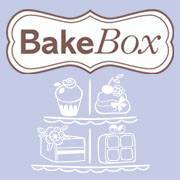 With a subscription to the Bake Box you automatically receive complimentary access to the Bake Club Live site. Here you can check out masterclass videos, receive bonus recipes and show endless possibilities for new creations using your new professional toolkit! Bake Box won’t break the bank either. At £14.99 every two months, it’s great value for money as each box contains at least £40 worth of equipment. To be in with a chance of winning you must complete ALL the mandatory fields. Rafflecopter will pick one random winner. The competition runs until 12am on 14th April 2016.